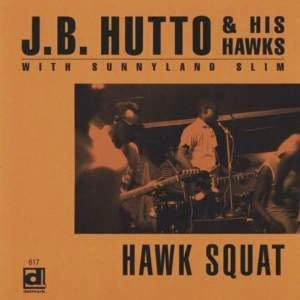 I just received the newest release, Hawk Squat, from J.B. Hutto and His Hawks with Sunnyland Slim and it's dynamite! 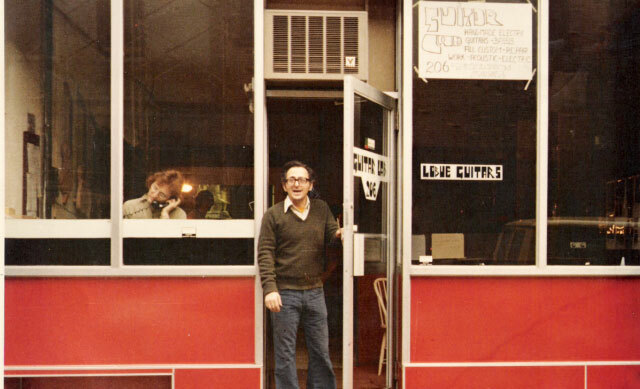 This is a reissue of tracks recorded in 1966 and 1978, six of which are previously unreleased. Opening with Speak My Mind, Elmore James' influence on Hutto is immediately apparent. With classic James style slide riffs, Hutto launches and hits square on the target. His slide work is raw, real and hot! Excellent! Sunnyland Slim leads the way on slower blues track, If You Change Your Mind, and Hutto with his unmistakable vocals and slide work are backed by Dave Myers on bass, Frank Kirkland and Mauricce McIntyre on sax. Too Much Pride again shows the strong work of Slim on piano and Hutto on vocal and slide. McIntyre makes his presence known with cool sax backing. Great shuffle track, What Can You Get Outside That You Can't Get At Home has a real nice groove and shows Lee Jackson on lead guitar as well as Hutto on slide joined by Junior Pettis on bass. Sowing down the pace a bit, Hutto cries out The Same Mistake Twice. 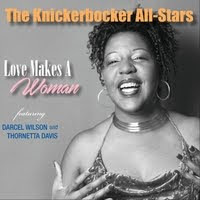 This track is particularly powerful with Hutto showing that he's equally effective as a lead vocalist as a slide player. Very strong! 20% Alcohol is a real cool blues rocker again with Jackson on guitar. Cool shuffle rocker, Hip Shakin' shows strong signs of early rock and roll. 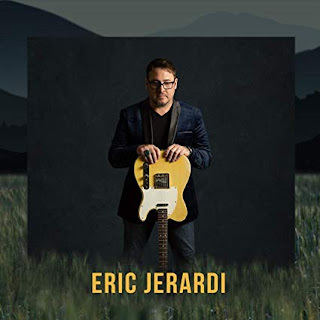 Aside from his distinct vocal style and trademark slide tone, this tone has totally dofferent characteristics than the balance and i really like it! Slow blues track, The Feeling Is Gone, is super with the general feel of The Sky Is Crying. Slim creates tension with his organ work but it's Hutto's vocals and slide work that really sets this track on into space. Excellent! Notoriety Woman has a distinctive Chicago sound and as fresh as the day it was cut. Too Late is another slow track with heavy slide work. Backed again by slim on organ, this track is spot on with excellent vocals and expressive slide work. Send Her Home To Me has a scatter lead guitar technique which is quite effective. I don't know that Hutto gets the credit as a vocalist that he deserves but these tracks are really hot! Slim takes a organ solo on this track and Hutto's guitar work is cool. Wrapping the original release is a fast paced blues track, title track Hawk Squat, and features an extended sax solo from McIntyre. An extended jam track with light cymbal work, a full kit drum solo and organ makes this a great track to conclude a release that I feel should be in every collection. There are 6 additional tracks on this release that were not included on the earlier release. This track, I'll Cry Tomorrow, is a great addition with heartfelt vocals interesting guitar work. The balance of the tracks are alternate tracks (included herein) and each has a fresh approach. Included are Speak My Mind (1&2), Too Much Pride, Hawk Squat and The Same Mistake Twice. I am really impressed by this release and it's quality not only in musicianship but in production quality. There is also 18 page booklet included with an additional 18 photos. A 2014 introduction by Bob Koester and original liner notes from 1968 by Bob and Sue Koester make for an interesting read.